Cecelia (Ceil) Frances Flynn age 87 of Thorp, WI, passed away on Thursday, January 18, 2018 at Mayo Health System in Eau Claire, WI. Ceil was born on April 1, 1930 in Fulda, MN to Conrad and Elizabeth (Biren) Schwab. 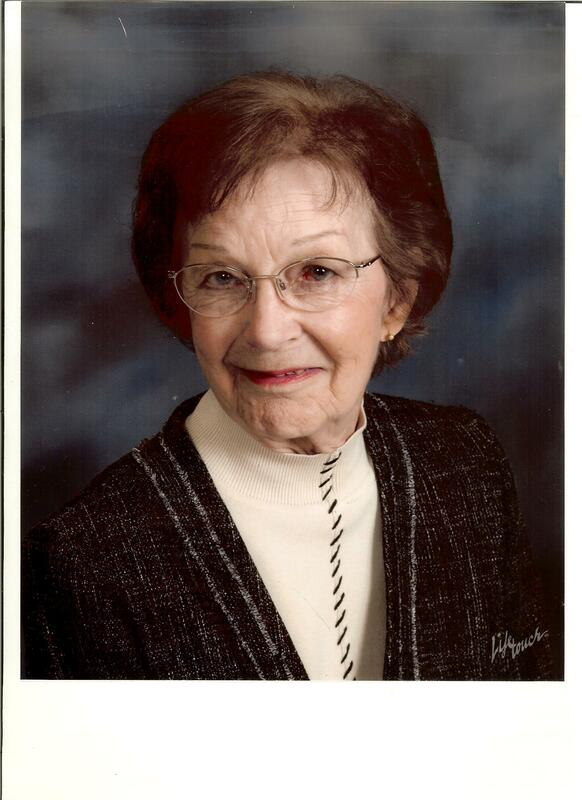 She grew up on a farm near Fulda and graduated from Fulda High School in 1948. She married Eugene (Gene) Flynn on August 9, 1948 at St. Gabriel’s Catholic Church in Fulda, MN. She was a loving and devoted homemaker and mother to her four children and continued to live in rural southwestern Minnesota until 1967. After Gene was employed by the Thorp Finance Corporation the family moved to several locations in Minnesota and Wisconsin, including Stevens Point, WI; Fairmont, MN; Fort Atkinson, WI; and Thorp, WI. In Thorp, Ceil worked at Thorp Finance and later ITT. In 1978 she and Gene relocated back to Fort Atkinson, WI where she was employed at Nasco for 17 years. Upon retirement in 1995 Ceil returned to Thorp, WI where she resided until her death. Ceil was an active volunteer for many years with the Thorp American Legion Auxiliary, Red Cross Bloodmobile and St. Bernard St. Hedwig’s PCCW where she was always willing to lend a hand and give of her time. A gracious woman with poise and dignity, she always showed friendship, respect and compassion to those she met. Ceil enjoyed traveling, shopping trips, crafts, cooking and spending time with friends and family. She was an avid reader and looked forward to growing her beautiful flowers during the summer months. Ceil is survived by a son, Gregory (Barb) Flynn of Stevens Point, WI and daughters, Margaret (Dave) Bronk of Minocqua, WI; Maureen (Dan) Welgos of Thorp, WI. She is also survived by 3 grandchildren, 3 sisters and other relatives and friends. She was preceded in death by her husband Gene, son Stephen, parents, 2 brothers and 3 sisters. A memorial Mass will take place at 10:30 am on Friday, January 26, 2018 at St. Bernard – St. Hedwig’s Catholic Church in Thorp, WI. Visitation will be held from 9:30 am until the time of service. In lieu of flowers, memorials may be given to the Thorp Public Library: 401 S. Conway St. Thorp, WI, St. Bernard – St. Hedwig’s Renovation Fund: P.O. Box 329. Thorp, WI and other charities chosen by the family.